Home > Headlines > News > Why VW? When you choose Volkswagen as the brand for your next new car, you are selecting a company with a long and dependable history. Volkswagen is a company focused on performance, safety, and technology. 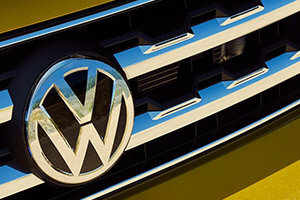 In addition, VW thinks outside the box with initiatives such as Think Blue. For all of these reasons and more, Volkswagen is a name you can trust. Expect unparalleled performance with the engines inside Volkswagen models. Not only do they provide the power you need to go the extra mile, they offer incredible efficiency. Consider the 1.4 TSI, which offers more horsepower and torque plus enhanced fuel economy over the former 2.0L engine. Faster acceleration and improved throttle response means more fun-to-drive. TSI engines use advanced technology to give you more of what you want - more power and less fuel. These turbocharged engines use direct injection to provide only the necessary amount of fuel for your desired performance.Take efficiency a step further with the Volkswagen Hybrid engines. Combined with an electric motor, you enjoy the greatest fuel economy possible. When using only the electric motor, the vehicle produces no emissions while recharging every time you put your foot on the brake. Every drive is a safer drive with the latest equipment and features in place to keep you on the road. Multiple systems are in place to assist the driver in monitoring road conditions and avoiding a collision. 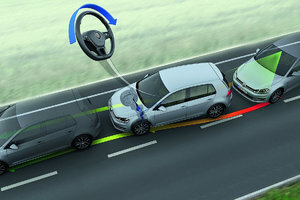 For instance, the Multi Collision Brake helps reduce the likelihood of a second collision after an initial one occurs. Brakes are applied to help reduce the severity of impact. 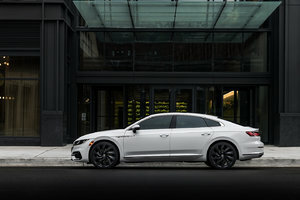 Lane assist ensures you don't veer out of your lane by sounding an alert if the camera module recognizes that you have drifted over into another lane unintentionally. Know what is going on behind and around your VW vehicle with the rear-view camera while sensors let you know when you're too close to another vehicle or obstacle. Rear Cross-Traffic Alert applies pressure to the brakes when it detects a vehicle behind you while you are reversing. Driving should be fun, and Volkswagen provides the latest innovations and features make it happen. The infotainment system in VW models enables you to receive important information, navigate to your destination with ease, and enjoy your favourite music. Enjoy the convenience of managing everything on App Connect. This system enables you to control your messages, music and maps from either an iPhone with Apple CarPlay or an Android device with Android Auto. Your smartphone apps are connected the touchscreen of your infotainment system for easy and convenient access. While most manufacturers focus on helping the environment by driving green, Volkswagen wants to put fun in the mix through driving blue. BlueMotion technologies are includes in all VW models, which help make your vehicle more efficient while still being fun to drive. For example, start-stop technology shuts off the engine when you are stopped and turns it back on when you are ready to accelerate. Since it is automatic, you don't even have to think about it. The design ensures the vehicle is ready to move when you are. Braking your vehicle becomes even more important with the use of regenerative braking. On the Jetta Turbocharged Hybrid, putting on the brakes allows you to save energy, which is then used to charge the battery for future power. This process improves efficiency and helps you travel further on less fuel. The impressive R-Line of vehicles across various Volkswagen models allows you to stand out from the crowd and showcase your style. Three models offer this incredibly unique and exciting line to make driving an everyday thrill to enjoy. Tiguan R-Line - A sport suspension provides responsive and stable handling while bi-Xenon headlights light your way. Touareg -R-Line - Grip the sport steering wheel while the sport suspension takes you where you want to go. CC R-Line - Sporty Sophistication in a luxury sedan. Volkswagen proves it understands today's drivers. With a focus on performance and safety while integrating advanced technology for fun features and efficiency, these models satisfy all of your needs. Visit your local Calgary Volkswagen Dealer - South Centre VW to learn more about Think Blue, the R-Line, and all of our new models. 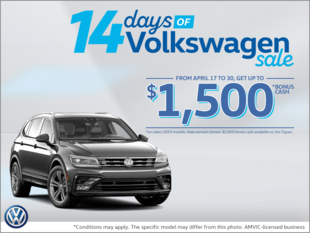 Spend a few minutes at South Centre VW and you won't be asking why VW, but why not?